We are one of the pioneers, who established numerous modern industrial Equipment’s, to accomplish high quality products. 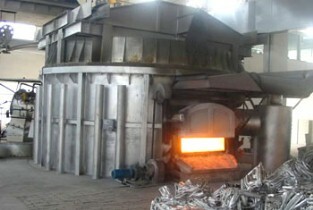 We have our own in house Foundry, which has hot top casting technology imported from china. It has the Latest melting – holding heating systems, equipped with automatic thermal Controllers. Performance of such an up to date technology, we have made Our company proficient in the production of highly refined close-grained and Oxide-free logs, which as a result offer improved finish on the extruded sections. » For melting aluminium there are different Fe, Al, Cr heating elements. » The furnace are well insulated. » The heating is uniform. » Some Aluminium Furnace are consist of digital indicating controller. 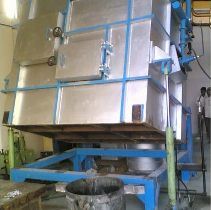 » The aluminium melting furnace are easy to install, operate, and manipulate. » Crucible can be easy replaced.